The Bridge’s mission is to provide sanctuary for homeless and at-risk persons in St. Louis. Meals and support services for basic human needs are offered by a staff intent on eradicating homelessness by guiding guests on a path to self-sufficiency. The Bridge provides for basic needs and services: Food, restrooms & showers, phone use, computer use, hygiene items, mailing address, day shelter, support, and life enrichment. The Bridge is located in Centenary United Methodist Church at 1610 Olive Street, two blocks west of the downtown library. Open hours are 6:30 a.m. – 6:00 p.m. Monday through Thursday and 6:30 a.m. – 2:00 p.m. on Friday. Dinner: 5:00 p.m. (M-Thursday), 4:30 p.m. on Sunday. 1. PRAY for homeless and at-risk persons in St. Louis. 2. VOLUNTEER: If you would like more information on how to volunteer or to sponsor a special event for our guests, please contact our Volunteer Coordinator at volcoordinator@bridgestl.org or call 314-421-3136, ext. 110. Original ideas are welcome! 3. PURCHASE: Buy a loaf of Bridge Bread (available at WGCC on Sunday mornings during Webster Café). Bridge Bread is a social entrepreneurship initiative designed to provide job opportunities for guests of The Bridge. The goal of the initiative is to help disadvantaged guests engage in a financially rewarding effort that enhances self-worth, promotes dignity and enables the guests to help themselves. 4. CONNECT: Make friends with The Bridge St. Louis on Facebook to learn about current events, immediate needs, and volunteer opportunities. 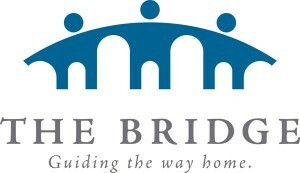 Visit www.bridgestl.org to learn more about The Bridge. 5. DONATE: Cash or Check: Make checks payable to WGCC and write “The Bridge” in the memo line.